Perfect for all of your treasured recipes. 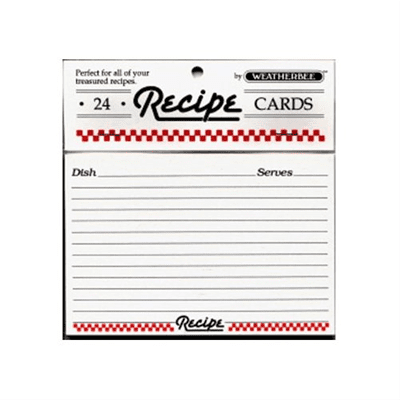 Pack of 24 high quality 3"x5" cards. Made in the USA by Weatherbee.